There is a tremendous difference between inpatient and outpatient rehab, and choosing the right program will directly affect your recovery. While a lifetime in recovery may cause a person to require multiple treatment options at different times in their lives, it is often safer and more beneficial to attend inpatient rehab as your first treatment program. Call 800-743-5860 today to find a rehab center and to learn more about your options for substance abuse treatment. Is One Treatment Program Better Than the Other? Both program types may be necessary for certain individuals at different times in their recoveries. However, an inpatient program is often much safer and more effective for those going into treatment for the first time. It is often said that attending both inpatient and outpatient treatment as needed is especially beneficial to a large number of individuals, so either type of program may be necessary to you at one point in your recovery. In fact, the transition from inpatient to outpatient care is common for many in recovery, and most programs help to facilitate this. Still, it is important to understand the differences between inpatient and outpatient care in order to decide which is best for you at this particular time. Inpatient care allows individuals to stay at the facility for a prolonged amount of time (usually in increments of 30 days but this can last up to a year or longer) and receive an individualized treatment program catered to their specific needs. Most of these facilities also offer on-site help for financial, vocational, educational, housing, and legal problems. Patients receive care in a 24-hour facility that can provide medical treatment to those who require it as well as round-the-clock surveillance and a controlled environment. 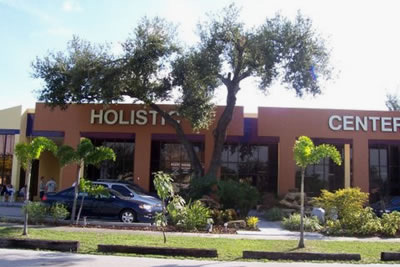 Outpatient programs do not allow patients to stay overnight but instead provide a facility where individuals visit daily or regularly, receive medication, attend therapy sessions and support group meetings, and generally receive their necessary treatments without paying for the accommodations provided in an inpatient facility. The care provided in outpatient programs varies more than in inpatient centers by facility. One outpatient care center could offer a number of services as well as referrals to other treatment programs or facilities that provide further options while another may provide nothing more than drug dispensation. It is very important to find out what a certain outpatient facility will provide before deciding to attend treatment there. In addition, these programs do not generally provide as many options to patients as inpatient centers do because there is not as much funding available. Outpatient centers can be beneficial for certain individuals, but they are overall less intensive programs than inpatient facilities. There are many differences between the two programs that should be considered when attempting to choose which option is the best for you. You can also call 800-743-5860 to learn more about both types of treatment facilities and to speak to a recovery expert about which may be necessary for you at this particular time in your life. Inpatient centers provide more treatment options than outpatient facilities in general. Programs of the former type are also more likely to have well-rounded treatment programs that cater to the needs of the patient while outpatient facilities can sometimes be very low-intensity. Residential facilities are more intensive by nature because inpatient treatment provides a controlled environment where the individual can stay and receive round-the-clock care. If you have been struggling with relapse, tried to quit or cut back on your substance abuse several times without luck, or have a severe physical or psychological dependence on a specific substance or substances, inpatient treatment may be necessary to help you avoid a return to drug use. You will be completely safe from this possibility in an inpatient center, while you can only receive so much care from an outpatient center. Inpatient programs are recommended for those individuals who are living with a co-occurring mental disorder or illness in addition to their addiction. It is extremely common for someone to experience issues with both types of disorders at the same time, around twice as likely as those who are not substance abusers. Even if you not currently aware of any comorbid disorders you may have, it is important to be checked for one and to receive the necessary treatment if you do. Medical conditions that either pertain to one’s drug abuse or helped cause it can be treated in inpatient care facilities but not usually in outpatient care programs. This is because the latter facility type usually does not provide medical care as it often too expensive. Those who have strong social support systems can attend outpatient programs, but even someone with a good family and or caring friends may require extra care. Your loved ones can often visit you as well in inpatient treatment; just make sure you understand the specific facility’s policies before you decide to attend treatment there. Outpatient programs are generally less expensive than inpatient programs. Still, it is important to seek the treatment that is right for you at the time in which you need it. Not doing so could be dangerous to your recovery. Also, if you are looking for a luxury facility, many inpatient programs provide additional accommodations, amenities, holistic treatment methods, and privacy agreements that cannot be found in outpatient facilities. It is important to consider all these points before choosing a program, and knowing the major differences between the two types of facilities can truly allow you to make an informed decision. Think about where you are in your recovery, how severe your addiction is, whether or not you are experiencing any other issues associated with your drug abuse, and what treatment options you will require. Once you know this, it will be easier to choose. Most people benefit by starting out in inpatient care and then transitioning into an outpatient program as aftercare. Many inpatient centers provide help with this kind of transition, and it can make your progression through recovery more gradual and less risky. Attending an inpatient rehab program is likely your best choice, although each person’s journey of addiction recovery is different and we all have different needs. No matter what you decide, take a stand and choose to seek help now. You deserve to make a change in your life for the better, and it is incredibly difficult to do so without the help of a professional treatment program. Let us help you find the facility that will cater to your needs and provide you with the tools to recover in the most successful way possible. Call 800-743-5860 now to speak to a recovery expert and to find a rehab center that’s right for you.